Transit Custom is designed to take a long working day in its stride. 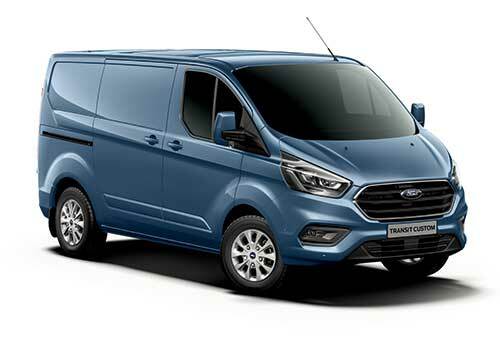 Powered by Ford's latest 2.2L Duratorq® TDCi engine, payload capacity of up to 1,405 kg, cargo volume of 8.3 m3 (cubic meters) and customizable space options, Transit Custom is compact and a perfect fit for every business. Roll Movement Intervention helps Transit Custom stay upright during emergency evasive maneuvers and sharp turns. Sensors in the Electronic Stability Control (ESC) system detect instability during these situations and cut off power to the front wheels, leading to reduction in wheel torque along with applying emergency brakes - thereby helping to stabilize the vehicle and prevent it from rolling over. Sudden loss of tire pressure is the first sign of a puncture. If any of your tires happen to lose pressure before or during your journey, the Tire Pressure Monitoring System gives you an immediate warning by lighting up the icon on the instrument panel. Transit Custom is powered by Ford's latest 2.2L Duratorq® TDCi engine, available in 100 HP (74W)1 with 310 N.m of net torque and in 125 HP (92 KW)1 with 350 N.m of net torque. All models come with a 6-speed manual transmission. Transit Custom has a payload capacity of up to 1,405 kg, a maximum cargo volume of 8.3m (cubic meters), and a wide space between the wheel arches - allowing for storage of 1.2mx2.4m boards vertically or horizontally. Choose from a short-wheelbase (SWB) or a long-wheelbase (LWB), and a Low Roof (LR) or High Roof (HR). The Electronic Stability Program (ESP) senses variation from your driving line and automatically helps correct your position on the road by reducing available torque and making brake adjustments to each wheel.